"Be careful [not] to injure your fingers by getting them squeezed / crushed"
Google Translate: "Carefully squeeze your fingers"
Baidu Fanyi: "Take care of your fingers"
Bing / Microsoft Translator: "Be careful to squeeze your fingers"
This formulation gets 158 hits on Google. 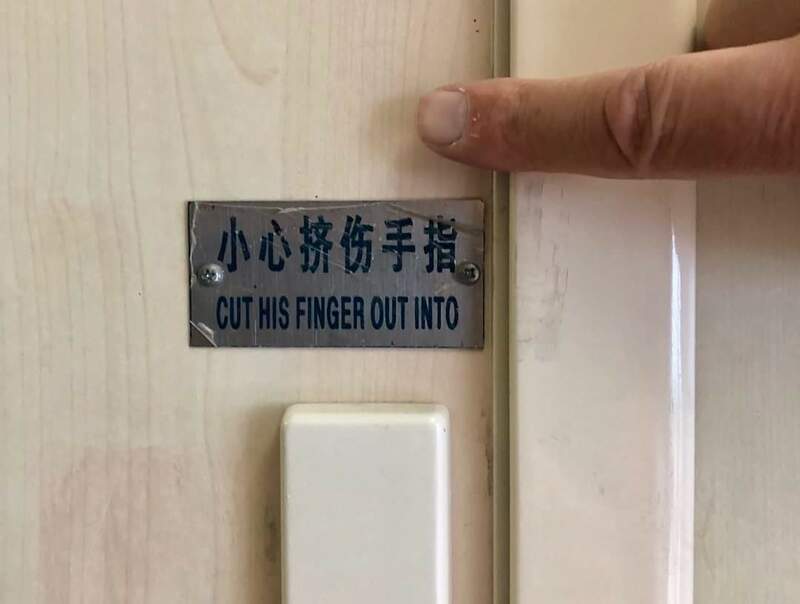 "Be careful [not] to injure your fingers by getting them caught / jammed"
Google Translate: "Be careful to pinch your fingers"
Baidu Fanyi: "Be careful with your fingers"
Bing / Microsoft Translator: "Watch your fingers"
To get to the toilet and the police, you go downstairs and turn toward the back (hòu zhuǎn 后转). You don't have to walk backwards to get there. 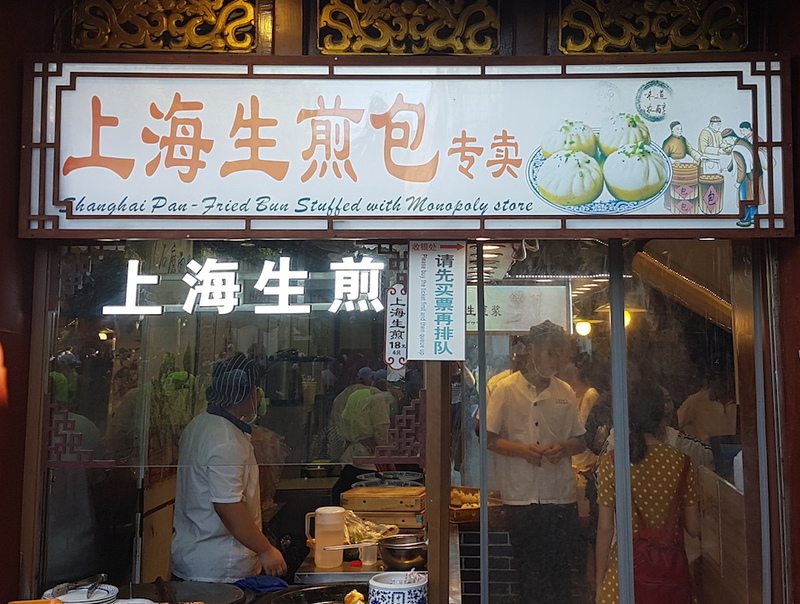 The delights of Chinglish are endless, and it is so nice to catch them in the wild. English-as-second-language speaker since ~20 years ago. I can't stop laughing – and each one seemed funnier than the previous. I'm not sure whether the Goon Show was popular in the US. It was rebroadcast on Australian radio until quite recently. 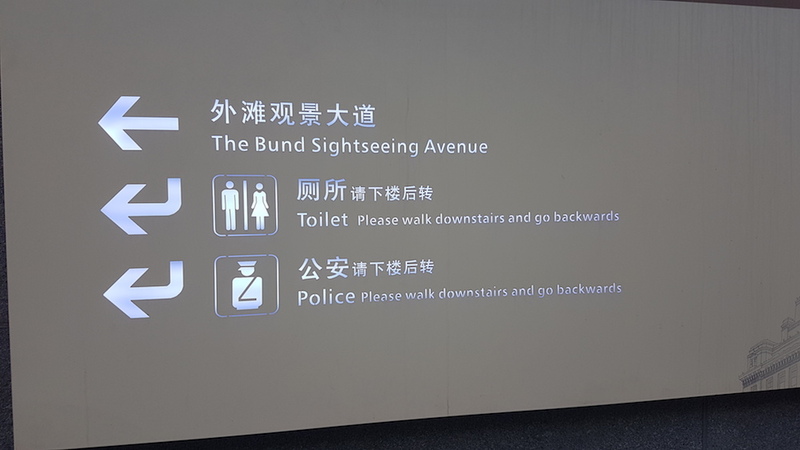 The meaning of the "go backwards" sign was not difficult, but it got me singing "I'm walking backwards for Christmas" as I walked the streets of Shanghai. This was a 45rpm record with "The Ying Tong song" on the flip side. I saw this once at the koi feeding area of a public park but did not take a picture. The picture was the first thing that came up in a google search, so it must have been used at a number of parks. "Do not/it is forbidden to use your own food to feed the fish". I agree with Kovács Péter, I don't see any problem with "go backwards", which is not the same as "walk backwards". The sign doesn't tell you to walk backwards. Interesting. Must be a matter of individual or regional preference. For myself and the people I asked about it, of the four options below, only the latter two would mean hòu zhuǎn 后转. "Go backwards" is perhaps a bit odd, but easily understood in context. What bothers me is I see now non-awkward way to say this. "Go (or turn) towards the back" doesn't really mean the same thing ("the back" to me is a defined area, not a direction). "Turn around and go forward" does mean what we want it to, but is clunky. "Turn around" by itself is ok, assuming it's either right there or there are additional directions once you turn around. Then again, none of these versions tell you how far to "go backwards" anyway, so additional directions are a must anyway. I thought 垄断 means 'monopoly'. I have only ever seen 专卖 used in the sense in which the 上海生煎包店 uses it i.e. implying exclusivity.